A purchasing scam that bilked two high schools of almost $900,000 is the worst of the fraud uncovered by the CPS Inspector General. Over the past five years, a CPS employee who worked at two struggling high schools milked them of almost $900,000 in a large, multi-faceted purchasing and reimbursement scam, according to today’s release of the Inspector General’s annual report. Also, the inspector general report details incidents in which parents falsified their addresses to make it easier for their children to get into selective high schools; and cases in which two high schools mis-categorized dropouts to improve their graduation rates. The employee accused of the fraud scheme resigned from CPS under investigation and is designated as “Do Not Hire.” The inspector general’s office has been working with the Cook County State’s Attorney’s office, but no arrests have been made yet. The report does not name the schools involved, but sources have identified them to Catalyst as Gage Park and Michele Clark. While this is one of the largest, if not the largest single scheme in the district’s recent history, just two years ago, Lakeview High School’s technology coordinator was found dead after being accused carrying out a similiar scheme. In both cases, the employees worked with associates to funnel money to companies for goods and services that the schools never received, and the scheme was carried for years without being noticed. But for several years, the inspector general’s office has been encouraging CPS to provide more resources the internal audit and the inspector general’s office, noting that CPS contracts are lucrative and thousands of people in schools have the authority to request and approve payments to vendors. This case was flagged during a financial audit, which led to the Inspector General’s report. In the report, IG Nicholas Schuler notes that his office was able to investigate only 20 percent of the complaints received. The office is limited because it is often investigating big, complex issues and has a small staff of only 13 investigators, plus Schuler and his deputy, to scrutinize the $6 billion school district with 41,000-some employees. By contrast, Houston Independent has 20 professionals to investigate a school district that is half the size of CPS. In 2011, the IG report noted that Chicago has one inspector for every 2,300 employees, while Cook County has one inspector for every 1,100 employees and the city’s municipal government has an inspector for every 455 workers. 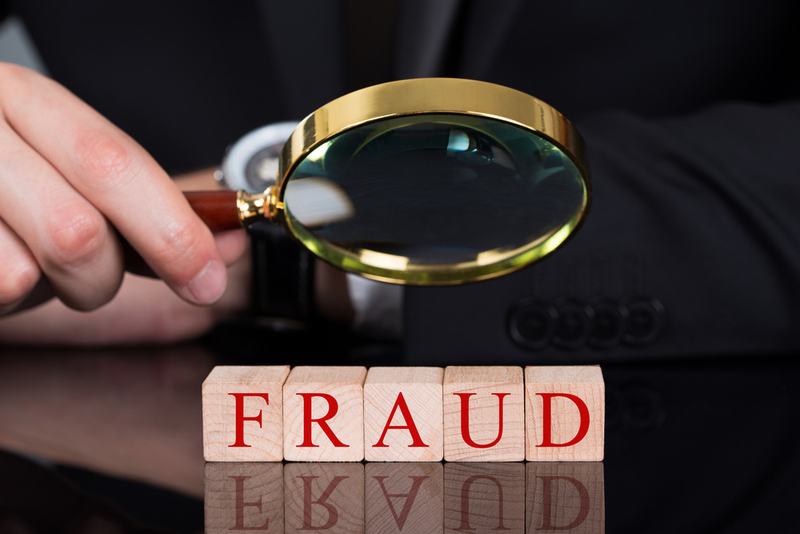 “The inability to investigate more complaints creates a substantial risk that instances of fraud and employee misconduct go undetected,” he writes. Employee records show that the administrator who orchestrated the fraud in question worked at Gage Park High from at least 2009 to 2012. In 2012, he made $104,000. In the 2013 employee roster, he shows up as a 0.5 (half-time) position at both Clark and Gage Park, with an annual salary of $109,168. Gage Park High School has seen its enrollment drop by more than 70 percent in the past five years. This summer, when teachers got wind of the investigation, they were outraged. In September, however, Gage Park’s principal abruptly retired and CEO Barbara Byrd-Bennett hand-picked the principal’s replacement. Byrd- Bennett has said she is personally invested in the revitalization of the school. According to the IG’s report, the principals of the two high schools did not seem aware of the scheme. But they did put a lot of trust in this one particular employee and one of them gave him their password to the district’s IT system, which helped facilitate the fraud. Still, questions remain about how so much money could be paid for such an extended period of time without coming to attention of school or district leadership. The employee used a variety of methods to siphon money to himself. But the majority of the scheme was carried out by engineering payment to a number of companies for more than $700,000 in goods and services that were never delivered to the schools. The Inspector General’s report confirms that the CPS employee in question received at least $100,000 in kickbacks from one of the deals and indicates that the office suspects he received much more. “In addition to the large cut that Business Owner 4 was keeping, the OIG could not eliminate the possibility that Business Owner 3 or Business Owner 4 kicked back portions of the $581,947 to Employee A, who made over $122,000 in cash deposits—usually round amounts—during this scheme,” according to the inspector general report. The employee also steered false reimbursements to three of his CPS colleagues and, in at least one case, had the bulk of money given back to him in cash. The employee also participated in “stringing,” meaning that purchases were distributed to several companies in order to avoid the non-competitive purchasing limits of $10,000. Beyond the Gage Park case, several incidents of stringing were identified in the Inspector General report and it has been a consistent problem noted in previous reports. At another high school, the school operations manager strung together purchases for office supplies among four businesses and got kickbacks from the companies. The employee was laid off and is designated as Do Not hire. In two other situations, companies tried to promote “stringing” to schools by getting multiple vendor numbers and advertising the fact that they have them to schools. Schuler says CPS needs to do a better job of informing operations managers and clerks about stringing and the fact that it is illegal. Also, he acknowledges that some stringing may be done to avoid paperwork or to speed up purchasing. The report also points to several individual incidents of fraud or ethics violations. One of them, in which two teachers also work as police officers, is not a violation. The IG is recommending that CPS look into making it one. It is unclear whether correctly labeling these students, which as far as the IG knows never happened, would have lowered CPS’ graduation rate—which, at 69 percent, is regularly touted by Mayor Rahm Emanuel as a major accomplishment. Also, many more schools may be miscoding students, as the IG only focused on the two high schools where there were complaints. None of the three school administrators in this case have been disciplined as recommended by the Inspector General, and one of them has been promoted. Meanwhile, parents, including some who are CPS employees, got themselves into trouble this past year for falsifying their addresses in order to give their children an edge in getting into selective enrollment high schools–confirming suspicions that parents would try to game the admissions system that now relies on neighborhood and family socioeconomic characteristics rather than primarily on race, as under the former desegregation decree. According to CPS, last year, 16,000 students applied for 3,200 selective enrollment seats. Schuler says his office has looked into individual cases of abuses in the past, but wanted to take a hard look at it this year. McCaffrey says that parents should be aware that district leaders are taking misrepresentation seriously and working to try to prevent it. “This may include future audits of students in selective enrollment schools,” he says. Schuler’s office found12 cases in which parents provided false addresses that would put them in a better position to land a seat; and, in half of those cases, the parents worked for CPS. Schuler says that this is by no means the full scope of the problem, but that his office looked for particular “red flags” and this was the result of that review. In addition, he says the fact that CPS employees tried to cheat the system is particularly egregious. In two of the cases, the students would have gotten into the selective enrollment high school even if their parents had used their true address. Those students were allowed to continue attending the school and the parents weren’t subjected to any discipline. However, eight students were dis-enrolled, one student withdrew on their own and another one was allowed to stay because she was going into her senior year. Four of the employees were either fired or resigned. Mayor Emanuel says his proposed changes to taxicab regulation would help the industry at a time when hundreds of taxi owner-operators face foreclosure on their medallions.